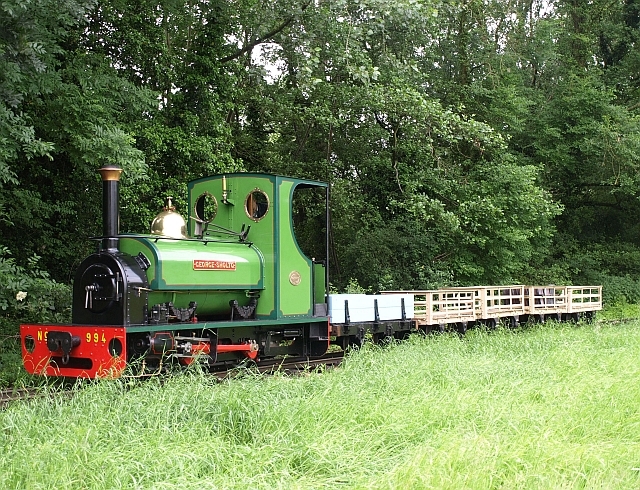 On selected days during the open season Bressingham Steam Museum in Norfolk is offering visitors the chance to drive on the 1½ mile 2 ft gauge Nursery Railway, using a 1909 built quarry Hunslet saddle tank loco ‘George Sholto’. In keeping with what the engine was originally designed for, the train will not consist of the usual rake of carriages but a collection of 4-wheeled slate wagons. These are all period vehicles, originally from the Ffestiniog Railway and restored at Bressingham. In addition to all the normal challenges of driving a steam locomotive, participants will face the extra test of keeping a train of unbraked, loose-coupled wagons under control. If you think this appeals to you then contact the museum office on 01379 686900 for full details, prices and availability. Courses are provided on a pre-booked basis only and full terms and conditions apply.